The Immortality herb belongs to the same family of plants as cucumbers and melons, but it does not bear an edible fruit or vegetable. It is harvested in the late summer, the leaves of the Immortality herb are dried and used for healthcare products and medicine. The Immortality herb is reported to possess health benefits and cures for certain sicknesses. Thus, it holds a special role in the field of alternative medicine. Experts say that its essence is an ideal substance that has the capability to lower cholesterol levels and blood pressure in the body. Apparently, this herb specializes on the problems of the heart. It improves blood circulation, and it ensures that the arteries are free from toxins, which could result in a stroke or a heart attack. Aside from the matters of the heart, the Immortality herb is said to be an effective enhancer of memory. It makes the immunity system more invincible against infections and stress caused by constant changes in the environment. It also improves the body’s constitution by maximizing endurance and stamina. The advantages of consuming the Immortality herb regularly is not only limited to preventing serious heart conditions and increasing resistance to illnesses. You can also intake this herb if you are experiencing common health problems, such as poor appetite, ulcer, stress, insomnia, and coughs. For men, this plant boasts about its ability to prevent hair loss, going so far as to promise to return one’s crowning glory. For women, the herb is known for its anti-aging effects. It does its part of detoxifying the body, as well. As it is a plant, you can be confident that every cleansing process is natural and safe. For other ailments, the Immortality herb is reported to cater to diabetes, gastritis, obesity, and cancer as a preventative means. It is important to note that this herb does not automatically cure these serious maladies; rather, it helps prevent them. There are some minor side effects found when using this herb. 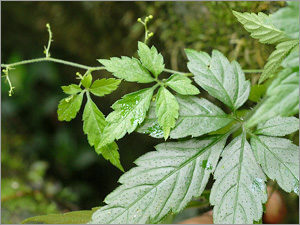 A small percent of the users have reported feeling nausea after the intake of the herb. So far, these are the only side effects reported, as there are not enough researches conducted on this herb. It is not good for pregnant women or those who are breastfeeding and small children under the age of three.